A scheduling glitch has left American Airlines without enough pilots and staff during the busy December travel period, the airline's pilot union said on Wednesday. The Allied Pilots Association (APA) that represents pilots at the country's largest airline said in a statement that it was notified Friday by the carrier of "a failure within the pilot schedule bidding system. As a result, thousands of flights currently do not have pilots assigned to fly them during the upcoming critical holiday period.". American Airlines said it is working diligently to address the issue and expects to "avoid cancellations this holiday season." "We have reserve pilots to help cover flying in December, and we are paying pilots who pick up certain open trips 150 percent of their hourly rate -- as much as we are allowed to pay them per the contract. We will work with the APA to take care of our pilots and ensure we get our customers to where they need to go over the holidays," American Airlines (AAL) spokesman Matt Miller said in a statement. But the pilots' union is urging crews not to take these assignments because they might violate the union contract. "While the overtime is legal, the way they're doling out is not in compliance with our contract," said Capt. 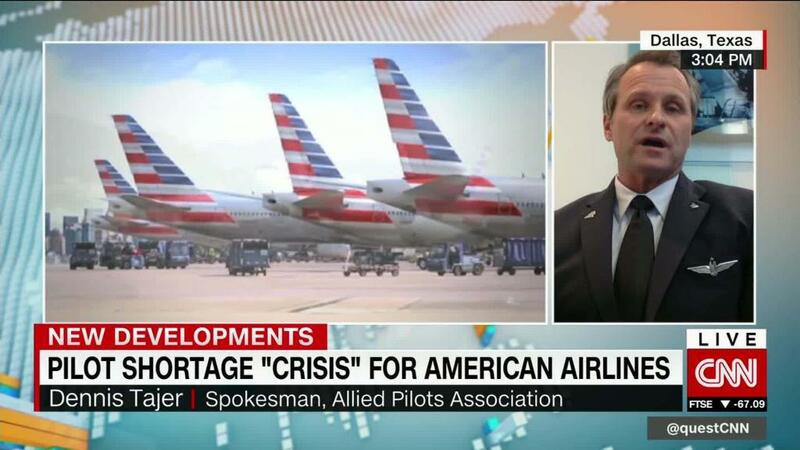 Dennis Tajer, spokesman for the APA in an interview with CNN. "The contract is important, but the most important of this is ensuring our passengers are taken care of...but this is going to require a partnership to solve it, regardless of what the rules are." Miller said American's leadership spoke to the APA Wednesday afternoon to hammer out a resolution to the staffing shortage. The airline declined to say how many flights might be impacted by the staff shortages. American has about 200,000 flights scheduled for December and operates on average 6,700 daily. The scheduling issues predominant affect the second half of December around the holidays when a computer system inadvertently gave pilots the opportunity to withdraw from flying.